I don’t care that much about celebrities and their love lives. I’m pretty pro-marriage: I admire couples who stay together a long time, but I also recognize that Hollywood is its own strange world, and couples who stay together for 10 years are heralded as role models. But there are some couples I really like seeing together. Will and Jada Smith, for example. Jada seems strong, outspoken and intelligent; Will is incredibly talented and gives off a sense of contentment and pride for his family. 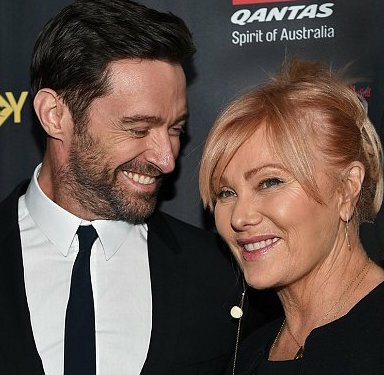 Hugh and Deborrah Jackman. They’ve been married a long time. They adopted their children. She’s not a supermodel 20 years younger than he is. Look at how he’s smiling at her. Oh, Hugh! I love you all the more! year when I watch Love, Actually, I cry again at the prescient scene when Liam’s character has to give the eulogy for his wife. That tragic face gets me every time. Bernie and Rhonda Mac. 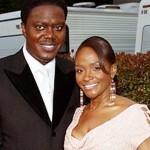 I loved Bernie Mac. His comedy was right up my alley. And let’s be honest. He was dating out of his league. Funny? Sure. Brilliant? Yes. Handsome? Not so much. And Rhonda is beautiful. It’s clear she loved him for his personality. Le sigh. The couples I don’t much care for are the cheaters-turned-spouses. I have strong feelings against infidelity, so Brangelina…nah. Those who’ve been married three or four times…don’t you feel kind of silly during the vows? 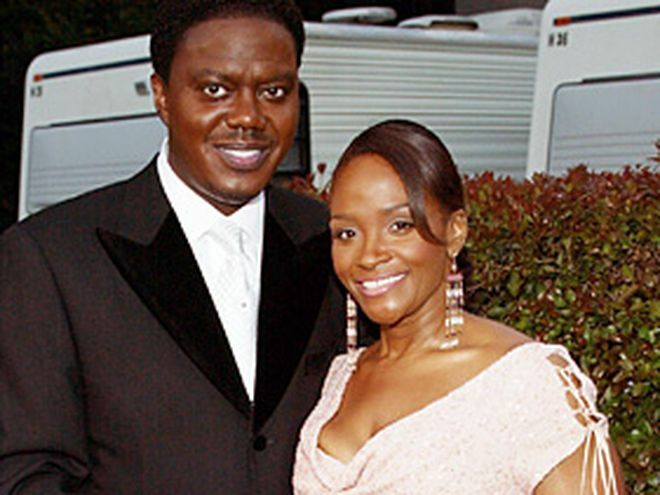 Why are the tabloid magazines celebrating these marriages? I know, I know. I’m old-fashioned. But then again, I believe in happily ever after, not happily till someone better comes along.